Philippine Wikimedia Community User Group or PhilWiki Community (PH-WC) is a free, open and vibrant community of Filipino volunteers and editors from all over the world, who believe in the mission and vision of the Wikimedia Foundation, Inc. As an affiliate organization, our community aims to promote and develop Wikipedia in the Philippine languages through cost-effective, creative and innovative projects and partnerships with local government units, government agencies, academia, non-governmental organizations, and the private sector. On 1 June 2015, the Community was formed as an organization of unaffiliated Wikipedians in the Philippines. The Affiliations Committee (AffCom) of Wikimedia Foundation recognized the Community on 17 October 2015‎. 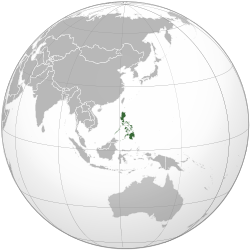 The Philippines is one of the world’s most linguistically diverse countries, with over 190 documented languages. However, under the 1987 Constitution, only Tagalog (officially called ‘Filipino’) and English are recognized as the country’s official languages. As a result, many of these regional languages are experiencing a decline in use and there is often a shortage of written material. PH-WC aims to promote and increase the daily use of Philippine languages and deploy Wikipedia as a resource and medium for the dissemination of open knowledge and learning through these languages. PH-WC represents and supports the activities of the various Philippine Wikipedias, among other Wikimedia projects, in the country’s most widely-spoken but nevertheless marginalized languages including, Cebuano, Waray, Ilocano, Bikol, Kapampangan, Zamboanga Chavacano and Pangasinan, as well as the national language Tagalog (Filipino), and projects which are still in incubation namely Aklan, Capiznon, Hiligaynon, Kinaray-a, Maranao, Miraya Bikol, Pandan Bikol, Rinconada Bikol, and Tausug. By giving these regional languages an internationally recognized and prestigious platform for their users, our Community hopes to raise their profiles and remove any stigma attached to speaking and using them. PH-WC was founded on 4 January 2016 in the city of Naga, Camarines Sur province, and its constitution and by-laws were adopted on 1 June 2016. The first set of officers and board of trustees were elected on 28 March 2018. The community is currently finalizing its application for recognition as a non-profit organization under Philippine law. In less than three years since its foundation, PH-WC has grown from strength to strength as evidenced by the numerous activities it has organized and participated in all over the Philippines to further its aim of promoting the nation’s many languages and cultures, as well as the growth of the various Philippine Wikipedias. As part of its inclusive and pluralistic focus, PH-WC is currently presiding over various outreach programs aimed at reaching out to marginalized groups in the Philippines. PH-WC always welcomes volunteers and participants who share our broad vision and encourage everyone with an interest to take part. To initiate, support, promote, and participate in projects of the Wikimedia Foundation, Inc.
To create, organize, develop, and engage in activities that promote free, responsibly open-content resources and reference materials in English, and Philippine languages where there are existing communities. To collaborate, cooperate, network, and associate with Chapters and User Groups of Wikimedians as well as with institutions, organizations and individuals to promote the free culture movement. To contribute images, audios and videos to Wikimedia Commons about the Philippines through photo-scavenger hunts, edit-a-thons, cultural walks, cruises, expeditions and tours. The Affiliations Committee of Wikimedia Foundation provisionally approved the Community on 17 October 2015‎ for three months. The group's first activity in its initial period of recognition included outreach events in Minalabac and Naga City in Camarines Sur, supporting the editathons held at Tacloban City and Palo town both in Leyte province, and Wikipedia Takes Rinconada at Iriga, Camarines Sur. On 28 March, 2018, the Community elected its first set of Board of Trustees. If you are interested in taking an active role in the working group, please signify below your intention to join this group. Our group is interested to undertake projects of the Wikimedia Foundation, Inc.